KARACHI: The government will issue promissory notes for payment of sales tax refunds and an annual profit of 10 percent will be given on these financial instruments, sources in Federal Board of Revenue said on Thursday. 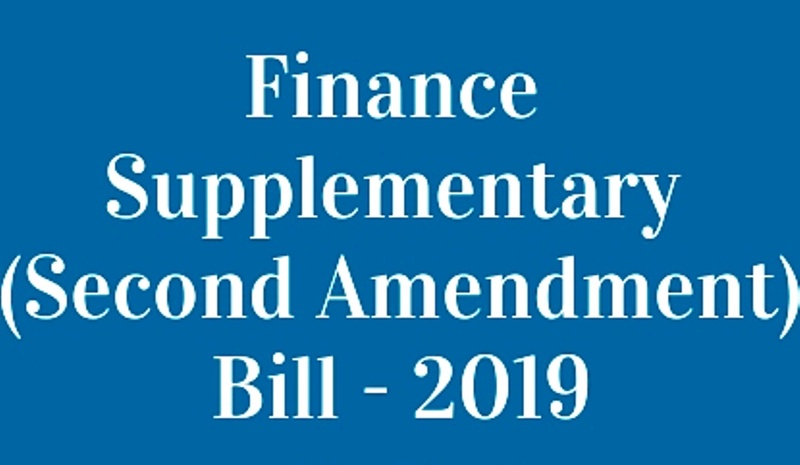 The payment of sales tax refund shall be paid through promissory notes in a manner prescribed in Finance Supplementary (Second Amendment) Bill, 2019. However, it will be paid to claimants who opt for payment in such manner, the sources said. (1) The promissory notes shall be issued by the Note Office in lieu of sales tax refunds as found admissible under the Sales Tax Act, 1990, to the refund claimants. (2) The notes shall be printed by Pakistan Security Printing Corporation with security features and in the form as the Board may determine. (1) The maturity period of the promissory notes shall be three years from the date of issuance. (2) The promissory notes shall be issued in multiples of one hundred thousand Rupees. (3) The promissory notes shall bear annual simple profit at ten per cent and shall be redeemable after the period of maturity. (4) The promissory notes shall be redeemable before maturity only at the option of the Board along with simple profit payable at the time of redemption. (5) The promissory notes shall be traded freely in the country’s secondary markets. (6) The promissory notes shall be approved security for calculating the statutory liquidity reserve. (7) The promissory notes shall be accepted by the banks as collateral. (8) There shall be no compulsory deduction of Zakat against the promissory notes and sahib-e-nisab may pay Zakat voluntarily according to Shariah. (d) The note office may decline to accept a note endorsed in blank for any purpose unless the endorsement in blank is converted into that in full before presentation. (1) When a note becomes due for payment, it shall be presented at the note office by the holder. (2) On redemption, the profit on the notes shall be paid along with the face value, in the form of a crossed cheque drawn on the State Bank of Pakistan. (3) The cheque shall be signed by the incharge of note office and another signatory as appointed by the Board. (4) The principal amount along with the profit shall be debited to the revenue account “B02368-Sales Tax Refund”. Procedure when a note is lost etc. (1) The procedure to be followed for the issue of a duplicate note in place of a note which is claimed to have been lost, stolen, destroyed, mutilated or defaced either wholly or in part, shall, mutatis mutandis, be the same as laid out in respect of the promissory note in the Public Debt Rules, 1946. (2) In case of an executant being unable to write, the procedure as provided in the Public Debt Rules, 1946, shall be followed.